Global Sources China Sourcing Fair grand opening from Oct 12th ~ 15th, 2012. As the leading HDD multimedia product manufacture company, Shenzhen Mele Digital Technology Ltd. presents their newest Pad, Android Smart TV Box, Wifi-Drive (mobile storage device), HDMI Dongle products in this consumer electrics fair. 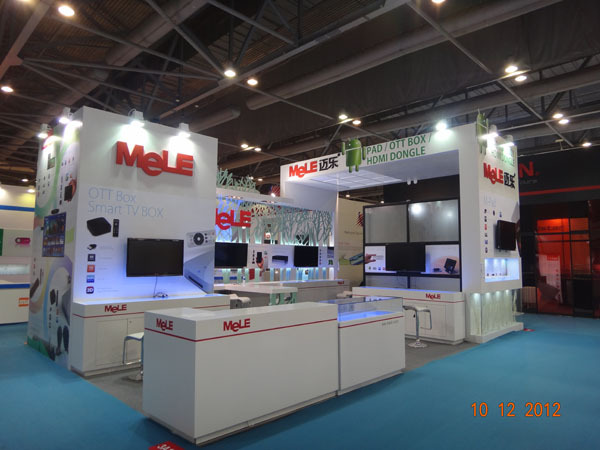 Mele Digital Booth design continues to use previous decoration style, Technology + Environmental protection. The Bright and spacious showroom becomes a beautiful landscape in the main stadium. 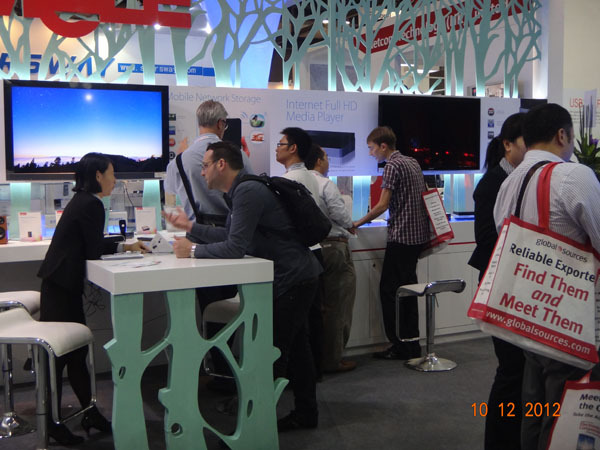 During the show, many customers show great interest in Mele Digital’s Pad, Smart TV Box, Wifi-Drive and HDMI dongle products. 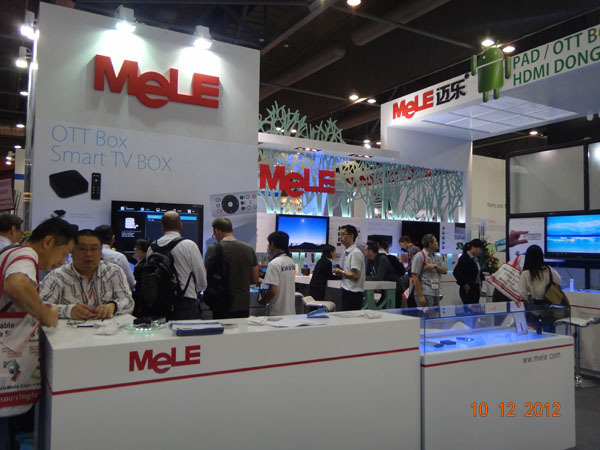 Mele’s Smart TV box (Android Livingroom PC) has already becomes the most influence and best sales Android Multimedia player product in china market. Now, Mele Digital’s product line not only has traditional HDD multimedia players, but also introduced Pad, HDMI Dongle and Wifi-Drive products to satisfy the increasing customer demands on different type of consumer electrics products.